Check answers to 7 Little Words Puzzles here. In this game, there are total 7 answers to be solved based on the Clue words. Let’s see Clues of November/23/2018 below. You need to guess the correct answer by using the Clues. If you can’t solve the solutions Check the solved solutions below. 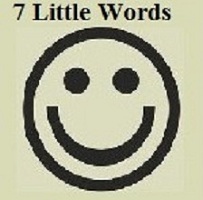 Here you can find all 7 Little Words with its solved answers. Clues are given in Red color and answers are in blue color. For more daily puzzle answers visit our blog. On which platforms is the game available? 7 Little Words game is readily available as a mobile application on almost all the popular devices including iPad,iPod touch, iPhone, Android, and Amazon Fire.